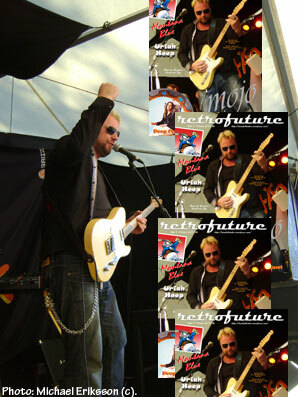 Guitarist/singer/cover boy Michael Mojo Nilsson will sign copies of RETROFUTURE 7 at Musik & Skit in Östersund (Jämtland county) this Sunday, May 25 (between 15.00-16.00 in the afternoon). Anybody who wants to pop by and have a chat can visit this wonderful store and get a copy of the magazine for free. I will be there as well. This is very cool, Mojo is a true gentleman.